I have received many requests from various festivals and events all around the world. I would like many people to enjoy my Kendama show. 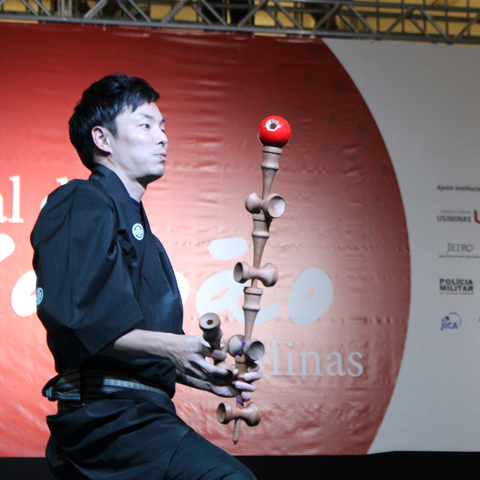 Yusuke Ito amuses audiences using unique Kendama such as the one with a big or a long string. 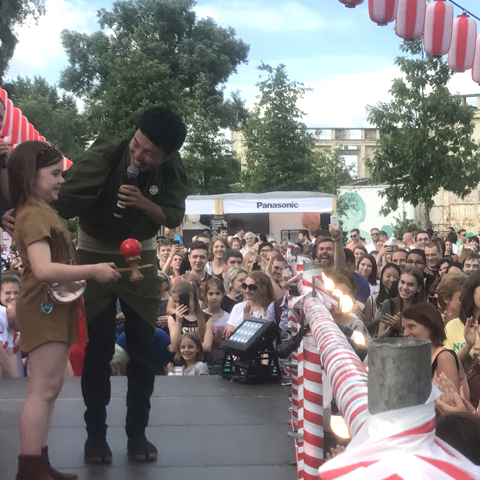 Yusuke introduces Kendama with some explanations. 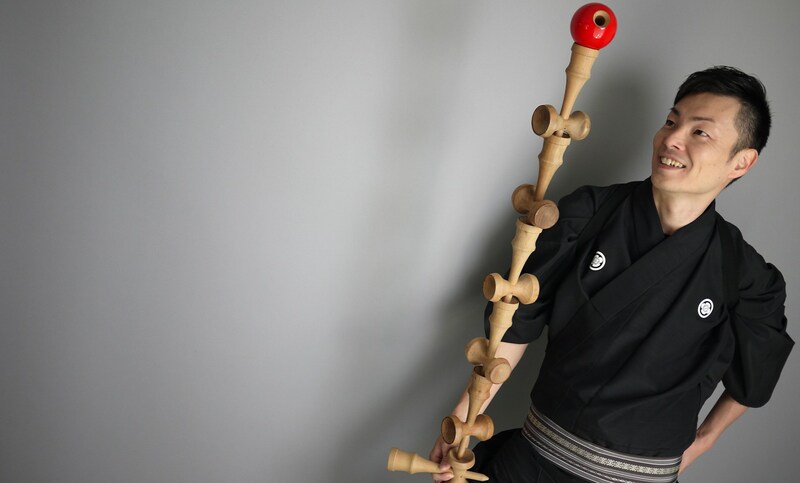 He brings some audiences on the stage and plays Kendama together. “no thread” along with Japanese music. The act will end with his trick which holds a Guinness world record. Yusuke can help them after the show. There’re about thirty-thousand Kendama tricks but several simple tricks will take only few minutes to learn. Kendama for the trial can be brought on request. Yusuke have the pleasure of being invited to various festivals across the world. 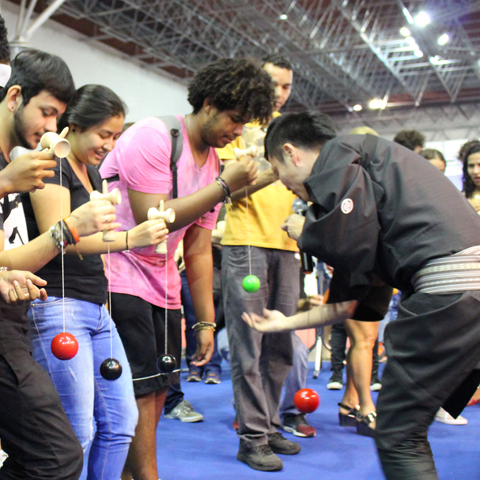 it is possible for a stream of visitors to enjoy a lighthearted attempt at Kendama firsthand. 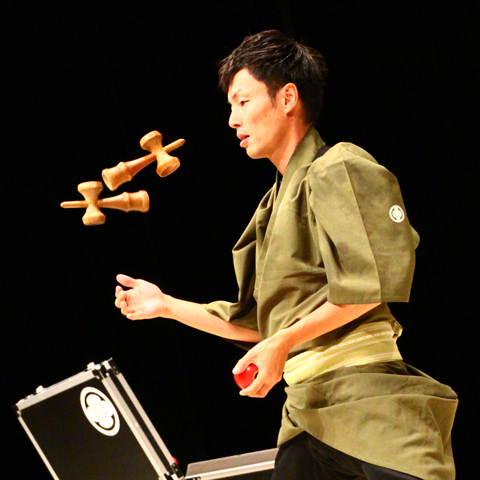 Yusuke undertake performances at Kendama shows and other events in various countries. 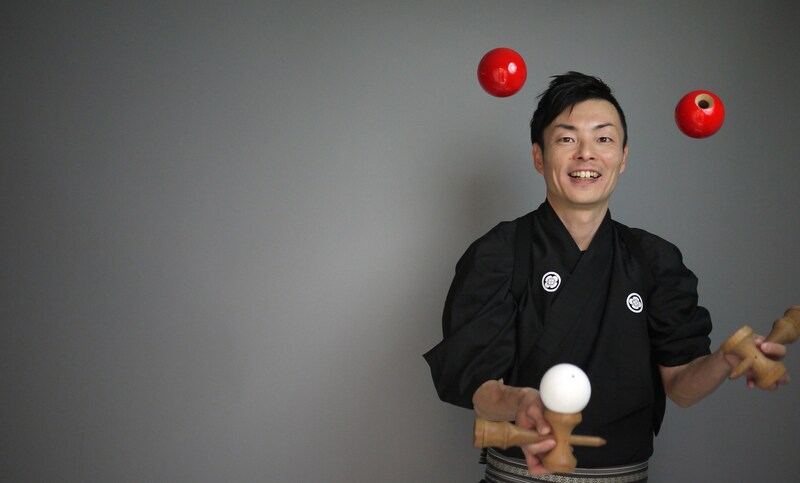 He want everyone in the world to be able to enjoy Kendama a part of Japanese culture. 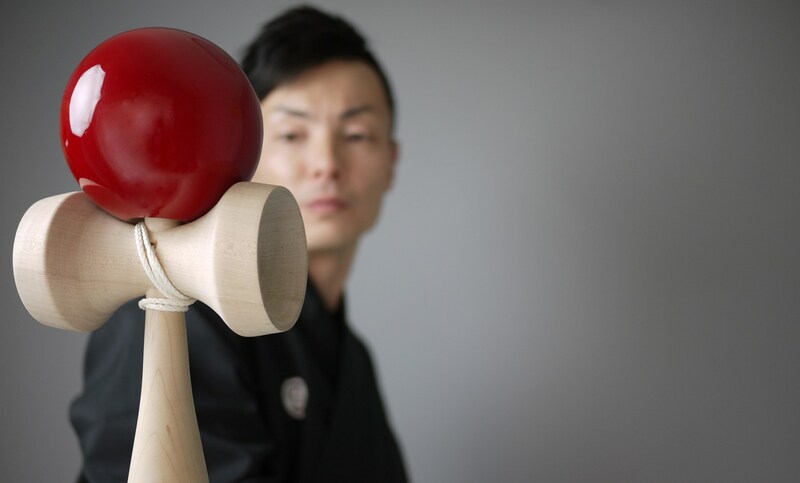 Yusuke receive a lot of requests for the Kendama show + workshop. He endeavor to provide an occasion that will long linger in the memory. “WAon WAgi” is a performance duo composed of Yusuke Ito & Pierre Ono. Skills of Kendama, sounds of Shamisen, and applause of the audience make the WAonWAgi show so unique and amazing. Please enjoy the Performance and Sound of Japan!! ※The confirmation screen is not displayed. Please check on confirmation. ※If you would like to inquire by email please do not hesitate to contact us at info@kendamashi.com.